Companies engage in many activities that consume resources and, thus, cause costs to be incurred. All activities have cost drivers, defined in Chapter 3 as the factors having direct cause-effect relationships to a cost. Many cost drivers may be identified for an individual business unit. For example, cost drivers for factory insurance are number of employees; value of property, plant, and equipment; and number of accidents or claims during a specified time period. Cost drivers affecting the entire plant include inventory size, physical layout, and number of different products produced. Cost drivers are classified as volume-related (such as machine hours) and non-volume-related, which generally reflect the incurrence of specific transactions (such as setups, work orders, or distance traveled). A greater number of cost drivers can be identified than should be used for cost accumulation or activity elimination. Management should limit the cost drivers selected to a reasonable number and ascertain that the cost of measuring a driver does not exceed the benefit of using it. 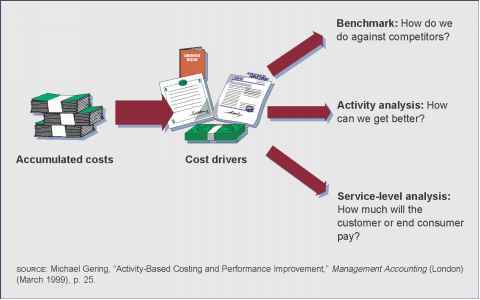 A cost driver should be easy to understand, directly related to the activity being performed, and appropriate for performance measurement. Costs have traditionally been accumulated into one or two cost pools (total factory overhead or variable and fixed factory overhead), and one or two drivers (direct labor hours and/or machine hours) have been used to assign costs to products. 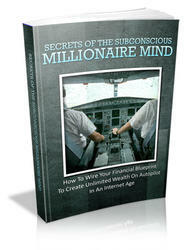 These procedures cause few, if any, problems for financial statement preparation. However, the use of single cost pools and single drivers may produce illogical product or service costs for internal managerial use in complex production (or service) environments. Exhibit 4-3 indicates how activity analysis is combined with cost driver analysis to create a tool for managing costs. While cost driver analysis identifies the activities causing costs to be incurred, the activity analysis highlights activities that are not value-adding and can be targeted for elimination to reduce costs and product prices. To reflect the more complex environments, the accounting system must first recognize that costs are created and incurred because their drivers occur at different levels.3 This realization necessitates using cost driver analysis, which investigates, quantifies, and explains the relationships of drivers and their related costs. Traditionally, cost drivers were viewed only at the unit level; for example, how many hours of labor or machine time did it take to produce a product or render a service? These drivers create unit-level costs, meaning that they are caused by the production or acquisition of a single unit of product or the delivery of a single unit of service. Other drivers and their costs are incurred for broader-based categories or levels of activity. These broader-based activity levels have successively wider scopes of influence on products and product types. The categories are classified as batch, product or process, and organizational or facility levels. 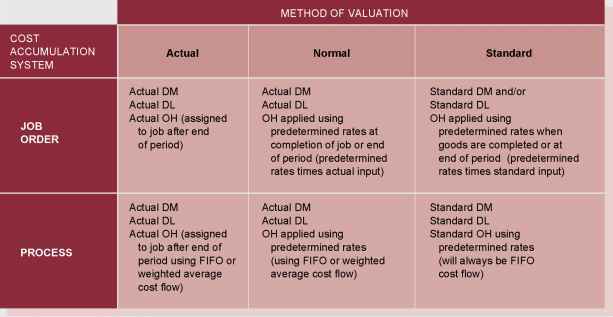 Examples of the kinds of costs that occur at the various levels are given in Exhibit 4-4. 3 This hierarchy of costs was introduced by Robin Cooper in "Cost Classification in Unit-Based and Activity-Based Manufacturing Cost Systems," Journal of Cost Management (Fall 1990), p. 6. What is cost driver analysis?